Guys. Like title says. I hope you R catching fish of any kind since temps have dropped a little. I have been stuck inside in pain with my gallbladder for a week now. Pain not as bad but they say it's inflamed so two weeks before they will remove. I almost blew a gasket. I let the heat and chores keep me off water for a month. Please post pics even of small bluegill to let me know they are still swimming. Good luck guys and don't take health for granite. I am 52 and been a solid work horse til now. It's rough. Hope you get to feeling better soon and can get after them. Dang, stinks to have to wait another week just to have it removed. I am up here in Illinois with my wife's family. 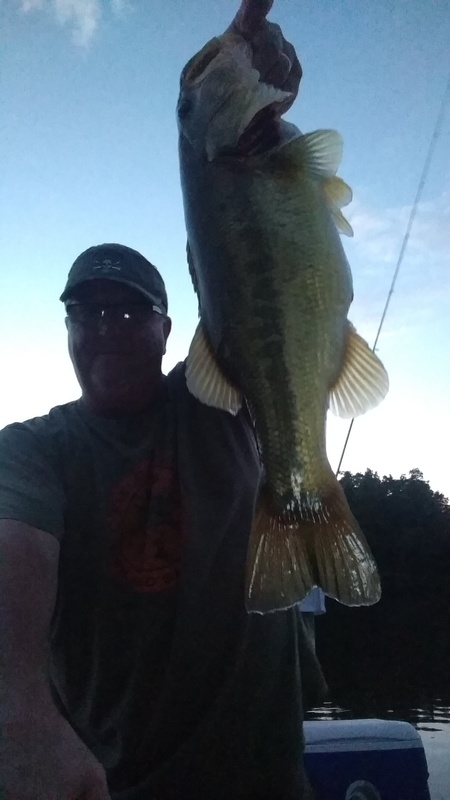 I fished Monday morning on a local lake and caught 28 bass, all but three on a whopper plopper. Thanks guys. Just hoping to her more reports. Kinda slower than I expected after the heat index dropped over the weekend. That would be alsome catching that many fish on a plopper. You'll be back at it in no time! Get well my friend! Thanks Adrian. Those are some very nice pics you have posted. Hope you keep wearing them out. Sweet. That's what I'm talking about. Hang in there bud. You will probably feel much better going forward when it's all over with and you'll be as good as new. Thanks Texas. I be back. Sounds like you have had a pretty good year fishing. You still going mostly at night ? Yea I'm pretty much just night time right now. I went to JPP last week during the middle of the day and after about 3 hours I had to go sit in the truck for 30 minutes. I guess I just got too hot. I started feeling like I was about to pass out and I couldn't really put a sentence together without concentrating. I should have just went home but the bite was really good. I started feeling better after cooling down and drinking a couple bottles of water. We went back out and I felt good as new after about an hour. That's happened to me 2x. Both on hot days and both after drinking an energy drink. I'm done with the energy drinks just in case. Wow. Man that would have scare the crap out of me. I have only taken a sip of those things when my kids thought they were the stuff(drinks).Thought they were nasty. I do drink Gatorade a lot and it seems to really help me. Especially at supper time working 3rd shift. Take care of yourself my friend.